How essential are desposit return schemes? Reverse vending machine specialist Tomra says it has held talks with authorities in China and India over the possible introduction of deposit return schemes for beverage containers. Belgium is the only EU member state not to use deposit return schemes (DRS). Tomra is now trying to open the door to such schemes in Asia, Wolfgang Ringel, senior vice-president for governmental affairs at Tomra, told delegates of a recent conference in Brussels. He advocated the importance of smarter collection and sorting in Europe for PET products such as drinks bottles and food trays. The event was organised by Petcore Europe and was the second of two conferences aimed at boosting PET recycling. Ringel mentioned the initial contacts with India and China when he presented data showing how almost all the top recycling nations in Europe used a form of DRS. Patrick Laevers, ceo of Belgium’s producer responsibility scheme FostPlus, argued that desposit return schemes were ‘not essential’ to achieve high levels of recycling. More than 5000 companies are Fost Plus members who declared 783 500 tonnes of packaging in 2017. The scheme recycled 700 000 tonnes, representing 89.1% of all packaging materials brought onto the market. Christian Crépet, executive director of Petcore Europe, remarked European PET recyclers currently lacked material to reprocess and the group calculated an unused capacity of 296 400 tonnes. ‘Insufficient quantity and quality of collection can be observed in several EU countries,’ he said. ‘Increased collection and sorting of PET bottles and trays, be it via kerbside collection or deposit schemes, would ensure sustainability and circularity of PET packaging. Harmonised EU post consumer waste bottle streams are necessary,’ Crépet added. 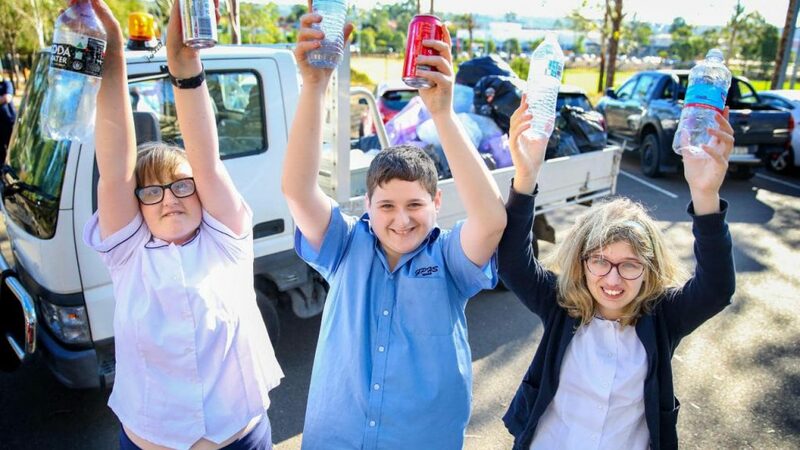 Australia’s newest container deposit scheme collected 10 million bottles and cans in the first two weeks alone. Queensland Container Refund Scheme went live on 1 November and gave out AU$1 million in refunds. The event host, Belgian MEP Mark Demesmaeker pointed out that a circular economy for plastics was a big opportunity for investment and innovation across the entire value chain. He said that the Single Use Plastics Directive, which is due to be formally adopted shortly, will bring separate collection targets of 90% for PET beverage bottles by 2029. Fellow MEP Maria Spyraki, from Greece, who hosted the first event in February, said her major concern was that states with poor recycling rates which had to improve as a priority. Meanwhile Tomra has published a report saying that consumer concerns about waste provide opportunities for brands to demonstrate corporate social responsibility and build customer loyalty, to the benefit of their business results. The company’s e-book argues that significant progress in plastics recycling technologies, including for PET products, makes using 100% recycled plastics not only technically possible but also economically worthwhile. ‘Recycling is part of the solution to the world’s worsening resource crisis. Our e-book highlights the environmental and economic importance of sorting technologies for the significant role they can play in improving recycling rates,’ comments Tom Eng, head of Tomra Sorting Recycling.